Where did you intern? 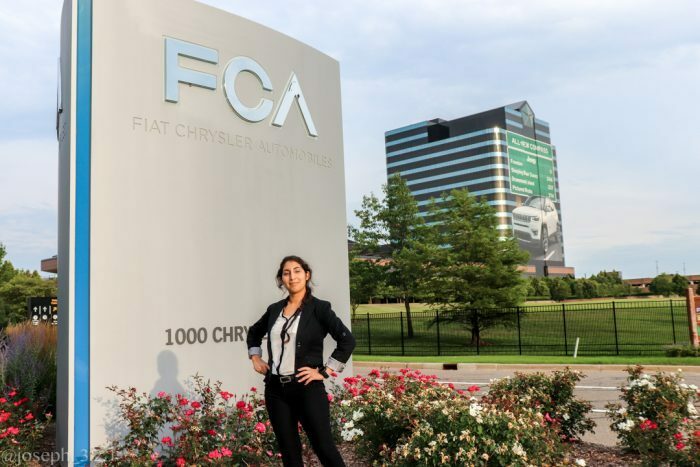 Fiat Chrysler Automobiles (FCA) as a supplier quality engineer (SQE) intern. They love their acronyms. How did you get your internship? Through the FIU Career Fair held in fall, I got the interview and a contact within the week. What projects did you work on? I was placed in the seats and seat structures commodity, the most complex interior part. I was in charge of creating a manufacturing plan, so updating the higher-ups on the vehicle program about the status of a supplier that was taking on their new program. I had to learn the component, how it’s manufactured, the tooling that is used, and their cycle times and rate. My role required plenty of communication with people outside the company and within to get all of this information. From this, I evaluated their procedures and summarized everything for my bosses. In addition, I came up with new tools and procedures for my team to use and implement to make their job a bit easier. What advice do you have for those beginning the internship process? You are not going to understand anything coming in. I was given my projects on my second day of the internship and I understood what was wanted, but I didn’t know how to start nor what to ask. For a month, I was just following my team members. I gained plenty of valuable experience, meeting various management teams, and received useful information without knowing they were going to be applicable for the projects later on. However, that month was still tough because once I recovered from that confused stage, I felt behind and stressed. I took my work home, thinking I was going to leave with nothing finalized. In the end, I was one of the fe w engineers who finished her main projects in time to present, and the smaller ones I made a good enough improvement for the team to consider it completed from our end. The one thing I can say though, I tried my best, got great results in what I took part of, and my team agrees with me; they actually were surprised to hear I was completely lost at first. How did your internship connect back to your coursework? During the internship, I got to learn in depth about problem solving and manufacturing processes, and what I found applicable I will share with my Formula 1 SAE engineering team, Panther Motorsports. Since we build a race car, we do plenty of designing, prototyping and manufacturing, and we get many problems throughout the process. So, wherever I find it applicable or in helping out new members who don’t have much manufacturing experience, I will share reliable practices on how to identify and tackle problems, and the essentials overall. What was the coolest thing about your internship? My role specifically as an SQE meant that around 40 percent of my internship was visiting suppliers. An SQE has a couple of suppliers that they oversee, among other roles, and any problems or changes they have, the SQE will know. I didn’t get a specific supplier to take care of, but I did get to go around and visit as many as possible from my team, some locations even outside of the Detroit area like Ohio and even Canada. What did you learn about yourself? Being in such fast paced and demanding company, I learned that I couldn’t be apologetic and doubtful of my decisions. At the start of this internship, I didn’t see myself as a key contributor and independent and that was wrong. What I did in my projects, I was the best at because nobody else was doing it so there would be times where there was no correct answer, just what I thought was correct. How did the position increase your professional confidence? It taught me to be bolder and assertive. As I talked about previously, what I worked on, I was in charge of completing so I was held accountable for the data required and the results. I initiated meetings and calls and had to be demanding of what I needed otherwise nothing would get done or I would get a reply a week later. How did you expand your professional network? I’ve gained valuable connections from this internship. I’m grateful for having been placed on the team that I had since they taught me so much for my personal and career growth throughout the summer, and my mentor who I kept in contact with.